After over a decade on the circuit and the air waves, Josh has become one of the most well-loved and respected acts on the circuit. He’s a master at wringing every last drop of comedy from any subject, as well as having a lightning quick comedy mind. 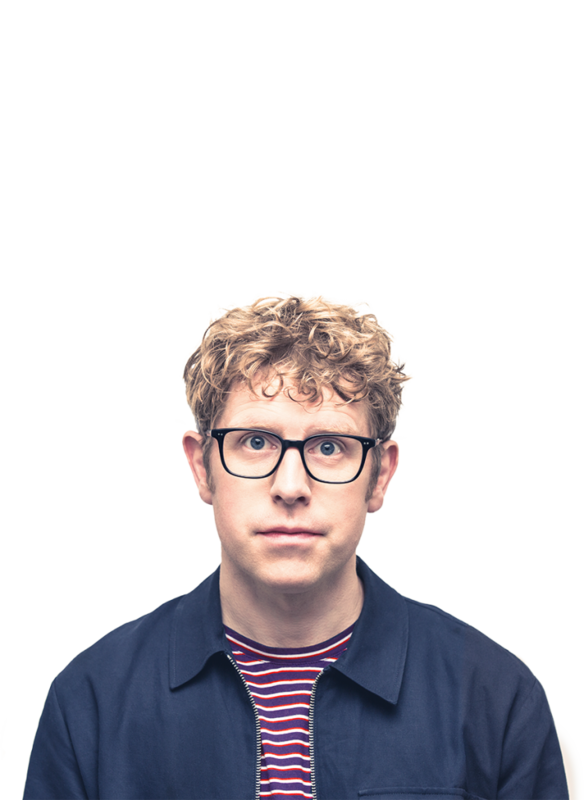 In his early years he cut his teeth supporting huge comic talent such as Stephen Merchant, Kevin Bridges, Michael McIntyre and Alan Carr, and has since gone on to have two sell-out UK tours and two sell-outs runs at the Edinburgh Festival, as well as an Edinburgh Comedy Awards Best Newcomer nomination. Since then he has become a regular on our screens, making appearances on Live At The Apollo, Would I Lie To You, Have I Got News For You, Celebrity Mastermind, QI, Mock the Week and 8 Out of 10 Cats. If that weren’t enough, he has also received much praise hosting for Xfm and Radio 5’s Fighting Talk and been part of a team that has received multiple BAFTA nominations and RTS awards for a pretty damn famous show on one of the UK’s biggest TV channels. Safe to say, seeing him up close in a comedy club, rather than an enormodome is an opportunity not to be missed!